St Mary's, Isles of Scilly, TR21 0NA. The Bylet self catering accommodation consists of two self contained units, 'The Suite' and 'The Studio' on the first floor of the guesthouse. Benefitting from sea views, each unit can accommodate 2 or 3 people and has the use of the garden and guests lounge in the guesthouse below when it is open. Both units are rated 3 star for quality by Visit England. Each unit consists of a comforatbly furnished lounge area with digital Freeview TV and DVD player, fully fitted kitchen including a microwave, oven/hob/grill, fridge with ice box, twin/double bedroom and a WC with shower. An occasional bed or cot can be made available increasing the acommodation to 3 people. Unfortunately we cannot accommodate pets. The accommodation is equipped with convection heating and hot water immersion heating. Electricity is chargeable per unit used, the meter is read at the beginning and end of your stay and charged at the prevailing rate. The flats also have sea views where you can watch the sun set over Samson, the waves crash over the Norrad Rocks and see the cruise ships that visit regularly. Each unit is inspected annually by Visit England and equipped and maintained to their 3 star level of quality standards. Tariff includes all bed and household linen which is changed as necessary. Available for occupation from 2pm on day of arrival. Must be vacated by 10am on day of departure. We ask that accommodation is left clean and tidy otherwise a further charge may be payable. Bookings run from Saturday through to Saturday with part week and other arrival days available during the the early and late season. Tarriff between £330 and £595 depending on the time of year. Stays can be extended in the guesthouse subject to availability. Please contact us for the tariff and availability of rooms in guesthouse. 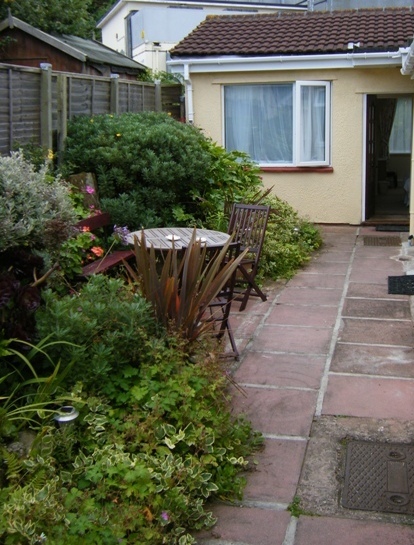 Self Catering granite cottage sleeping 2 people in a double or twin beds. 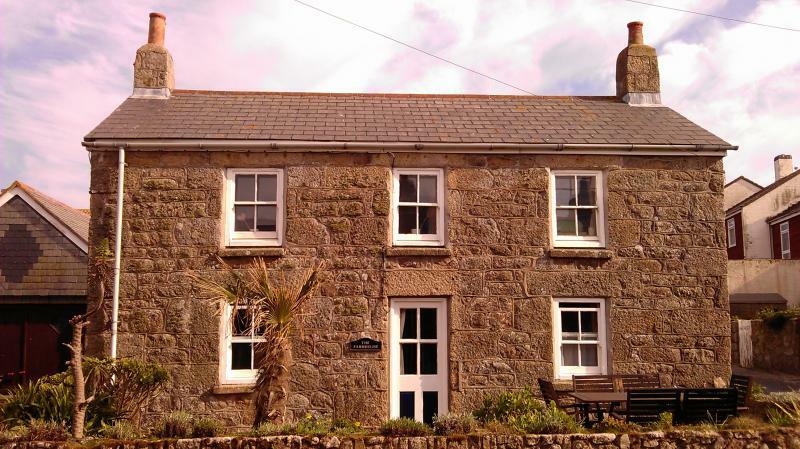 Located just 20 metres away from the pituresque Old Town Beach and bay, the cottage has one bedroom, shower room, kitchen and lounge. Guests also have exclusive use of the front garden with table and chairs, perfect for enjoying the afternoon and evening sunshine. Rated 3 star by Visit England. 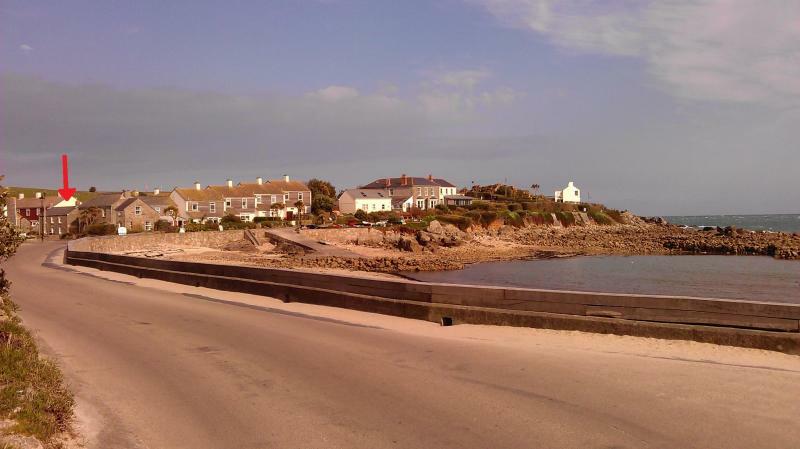 Hugh Town is a 15 minute walk away, the regular circular bus stops opposite Old Town Cafe by the bay. All linen and towels provided with changeovers on Friday. Tariff £440 - £750, part weeks on a daily rate early or late season. The Farmhouse is tucked away in the corner of Old Town Bay, just seconds from the beach and minutes from the picturesque Church. Old Town has a cafe, a shop and a pub all within minutes of the accommodation. Copyright 2018 The Bylet Guesthouse. All rights reserved.